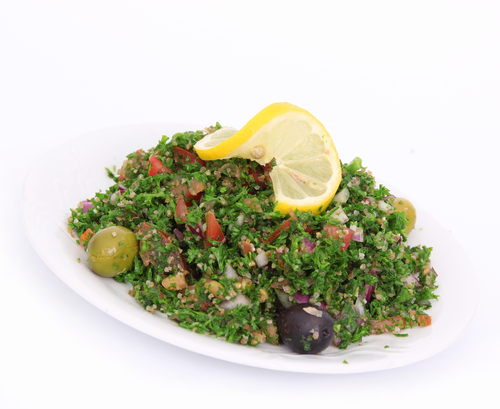 this colorful tabbouleh recipe offers. Pour 2 ½ cups of water in a large saucepan. Add bulgur and bring back to a boil. Cover and sit for 30 minutes. Chop green onions, parsley, mint and cherry tomatoes. Blend olive oil and lime juice in a bowl with a whisk. Toss all ingredients together with cooked bulgar.